Are you ready for the Super Bowl this weekend? I am a huge college football fan, but I am not a big fan of the NFL. Chicken Legs, on the other hand, loves the NFL. He is really looking forward to the game this weekend. I am looking forward to the commercials. One thing we are both looking forward to are these wings. They are the bomb! They have the perfect amount of heat and tons of great flavor. The sauce is the best I've ever made. I mixed the sauce up the day before I made the wings and stored it in the refrigerator. I baked the wings and tossed them in the sauce right before we ate them. DELICIOUS! You might want to double the recipe below. These won't last long with a crowd. Preheat oven to 400°F. Line a baking sheet with foil and set rack inside. Place chicken pieces on rack and season with salt and pepper. Bake for 30 minutes. Flip wings and cook 15-20 minutes longer, until chicken is crispy. Meanwhile, whisk together ingredients for the sauce. 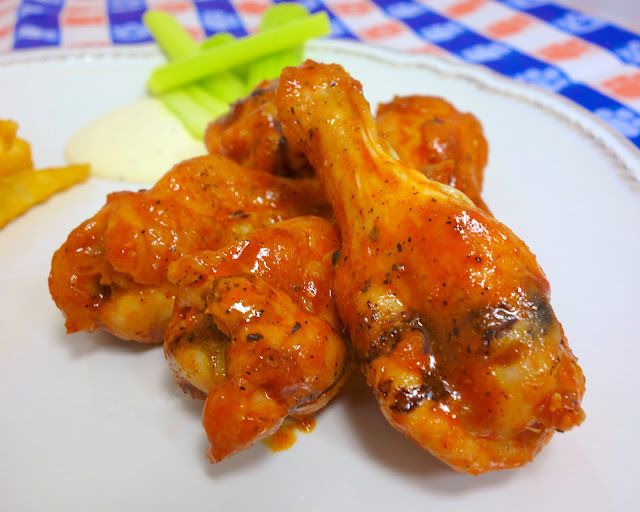 Transfer cooked wings to large bowl, add sauce, toss to thoroughly coat, and serve immediately with blue cheese or ranch dressing and celery sticks. Thanks for sharing this recipe. It sounds completely yummy! Sounds like my kinda wing & the photos are mouth watering! 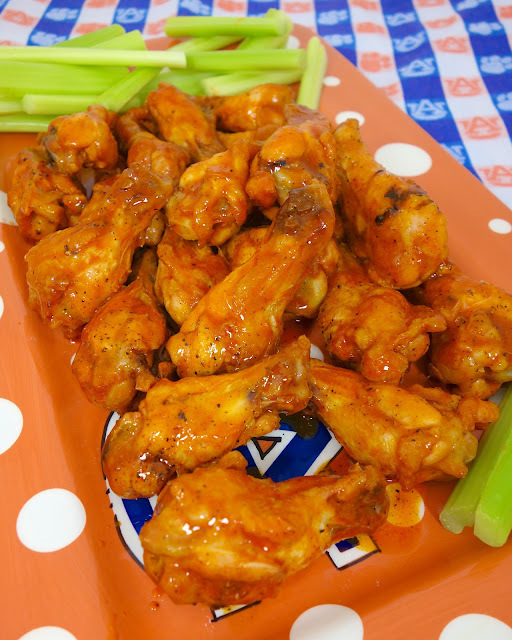 Do the wings need to be unthawed or can they go in the oven frozen? Kendall's Momma - I always use fresh, unfrozen, chicken wings. I like the idea of baking rather than frying. But whether Friday or Super Sunday these are game day party worthy! We're having a Super Bowl party at Tumbleweed Contessa. These would be perfect for the buffet! Thanks for sharing and have a SUPER week. I made these for our Superbowl party -- and they were better than the game!!! I pinned it to try with grilled wings, it sounds good. But the name makes me think of The Other Guys movie with "Dirty Mike and the boys", lol. I have always used the baked method with only butter and hot sauce (our favorite is Texas Pete). Like the idea of adding spices. Will try it the next time we fix wings.